The Bedford 5000 program is the ground floor of creating direct support for our local Veterans. When no one else would stand and say ‘I will go,’ thousands of brave men and women from the Bedford community did. Many gave their lives and sacrificed time from home–whose families fought alongside them from a distance and who carry the torch of caring for the vets returning home. They all bled for this Township. They served to protect what we have today in our beloved town. Those of us who served have made the vow to never leave a fallen soldier behind. So, we ask you now, will you stand up and say, “for those who gave so much, I will stand with them now.” By partnering with the Bedford Twp. 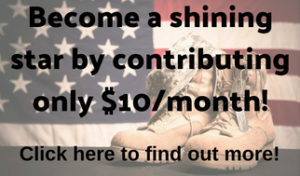 Veterans Center, you have the opportunity to join the ranks! 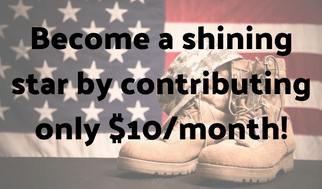 Help us to secure vets’ futures and let them know they are never alone or without again! Print off this form, fill it out and email it to bedfordtwpvets@gmail.com. Print off this form, fill it out and drop it off at the Bedford Township Veterans Center at 760 W. Temperance Rd. Temperance, MI 48182. Fill out the ACH form on our website. It’s as simple as that! If you have any questions, don’t hesitate to call us at (734) 224-7032.